Here are the deals and coupon match ups for Rite Aid from 10/31 to 11/6. Please be aware that prices vary by store, and coupon values vary by region, so the list below may not be 100% accurate depending on your location. Click READ MORE below for the rest of this post! Here are the deals and coupon match ups for Big Y Supermarkets from 10/28 to 11/3. Please be aware that prices vary by store, and coupon values vary by region, so the list below may not be 100% accurate depending on your location. All coupon values are doubled up to $.99 based on my store's policies! See Big Y's official coupon policy here. 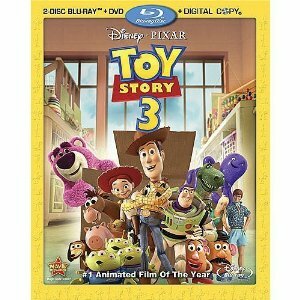 Toy Story 3 will be released as a DVD/Blu-ray combo pack on Tuesday, November 2nd. I've been hoping they would put out a coupon for this, and whoila...here it is!!! There should be some good deals advertised by major retailers soon, use the coupon for even greater savings! Print now because you never know how long it will be available!! There are some candy coupons available at Coupons. com! Print them out to save on your Halloween candy! Click here to go get them!!! Get a $1 and $5 coupon for Cetaphil and Cetaphil Restoraderm! I love Cetaphil products and my son gets some mild eczema in the winter time so this $5/2 coupon is gonna be great for my little buddy this winter! Right now you can get Taylor Swifts entire album Speak Now for only $3.99 on Amazon.com! This is an AMAZING DEAL! Share this coupon with 3 friends and get $1/2 Totino’s products. Don’t want to share? Then you can print a coupon for $0.50/2. 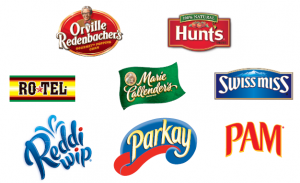 *NEW* Conagra Holiday Rebate purchase $25 of participating Conagra products and receive a coupon booklet with a $30 value plus a $5 gift certificate for Walmart. Products must be purchased between 10/12/10 & 1/2/11. Get your mail-in-rebate form here. SORRY THIS OFFER IS GONE! 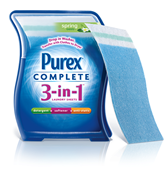 Free sample from All You: Purex 3-in-1 Detergent Laundry Sheets. Has anyone else tried these? They are my favorite laundry detergent& dryer sheet (all in one and a reasonable price too! Try them out you will get addicted too! Here are the deals and coupon match ups for CVS from 10/24 to 10/30. Please be aware that prices vary by store, and coupon values vary by region, so the list below may not be 100% accurate depending on your location. These coupons will be going away soon. Some come back, some don't. Get a free 8x10 photo on canvas from the Canvas people! This is an awesome deal, just pay shipping. These make great gifts for mom's, dad's, and grandparents and Christmas is right around the corner! Get 1 FREE Photo Calendar! Choose from a Wall or Desk Calendar to enjoy your favorite photos year round! Just pay shipping & processing. Here are the deals and coupon match ups for Walgreens from 10/24 to 10/30. Please be aware that prices vary by store, and coupon values vary by region, so the list below may not be 100% accurate depending on your location. This is another freebie for all my Home Schoolin' Mama's! You can go to Happy Scribe Copybooks. to downlaod a free Happy Scribe trial book as well as over 500 handwriting sheets absolutley free. Here are the deals and coupon match ups for ShopRite Supermarkets from 10/17 to 10/23. Please be aware that prices vary by store, and coupon values vary by region, so the list below may not be 100% accurate depending on your location. All coupon values are doubled up to $.99 based on my store's policy. Free Orange 'n Creme Swirl Frutista & Lime Aid at Taco Bell! Taco Bell is offering 500,000 coupons for a FREE Orange N Cream Fruitista Freeze. Offer while supplies last.While you are there don't forget to use your coupons for your Free Lime Aid from a few weeks ago!! Here are the deals and coupon match ups for Walgreens from 10/17 to 10/23. Please be aware that prices vary by store, and coupon values vary by region, so the list below may not be 100% accurate depending on your location. Here are the deals and coupon match ups for CVS from 10/17 to 10/24. Please be aware that prices vary by store, and coupon values vary by region, so the list below may not be 100% accurate depending on your location. 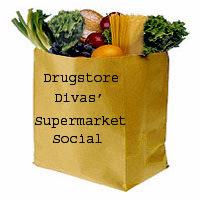 Get another $5/25 Rite Aid coupon here. This week only you can get a box of delicious gourmet dipped fruit for only $10 a dozen when you pick your order up at a local store! The regular price is $25. You can order online, in stores or by calling 877-DO-FRUIT. This offer is valid on October 17-24 only. You must pick your order up by 10/27. Find the location nearest you here. There is a high value Hungry-Man Dinner coupon available right now on Facebook: Save $2/1 any dinner. I know these go on sale $2.50 each so you are looking at a great deal when you use this coupon. YOu don't even have to like the page to be able to get the coupon! Hurry over to coupons. com to get these great Glade coupons before they're gone! Click here to get these now!